A scene from On the Map. 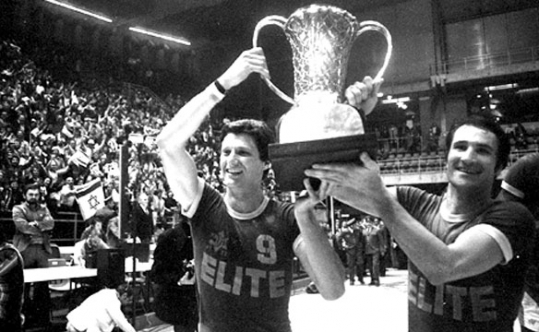 On the Map (7 p.m. tonight, Kravis Center Cohen Pavilion) — In the same way that you don’t have to be Jewish to love Levy’s Rye Bread, you truly do not need to have any interest in the sport of basketball to enjoy this documentary about Israel’s Maccabi Tel Aviv team beating the powerhouse Russian Red Army squad, before going on to win the European Cup. Yes, it follows the formula of many previous underdog victory sports films, but Israel’s win has particular resonance for its national self-image. Art and Heart: The World of Isaiah Sheffer (Jan. 23, 2 p.m., Cobb Theatre; Feb. 8, 1 p.m., Frank Cinebowl) – It is probable that you are unfamiliar with the achievements of the late Isaiah Sheffer, but take the word of such luminaries as Morgan Freeman, Stephen Colbert and Leonard Nimoy, whose lives were affected by this pied piper of the arts. 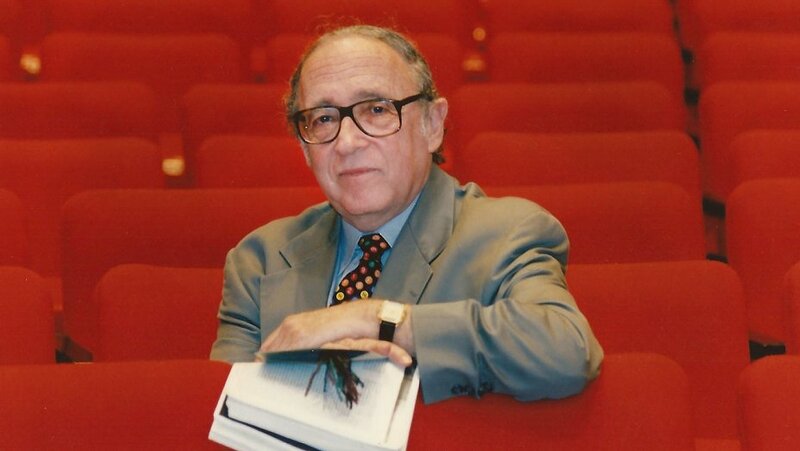 Foremost, Sheffer was the co-founder and artistic director of New York’s Symphony Space, a cultural mecca. Its varied offerings included Bloomsday on Broadway, an annual marathon reading of James Joyce’s Ulysses; Selected Shorts, celebrities reading renowned short stories; and the Thalia Follies, a political cabaret series. Catherine Tambini encapsulates Sheffer’s life and career in this affectionate documentary about a man who was eager to provide arts for the masses and just as eager to get onstage himself. Interesting side note: Sheffer wrote the musical The Rise of David Kaminsky, which gave a young Avi Hoffman one of his first stage roles, a show that Hoffman revived at his own short-lived theater in 2007. Art and Heart runs a mere 52 minutes, but that is enough time to come under Sheffer’s spell and the right length to show up on public television with a few minutes left over for a pledge break. Csanad Szegedi studying his newly discovered religion in Keep Quiet. Keep Quiet (Jan. 23, 4 p.m., Cinemark Palace 20; Jan. 31, 1 p.m., Cobb Theatre; Feb. 9, 11 a.m., Frank Cinebowl) – If Csanad Szegedi were the main character of a fictional feature film, you would have a hard time believing him. As the central focus of a documentary, however, he is endlessly fascinating. This leader of Jobbik, Hungary’s right-wing, anti-Semitic party, was busy spewing hatred and denying the Holocaust until he was stopped in his tracks, outed as being of Jewish heritage himself. He then did an abrupt about face, vocally atoning for maligning the Jewish people. But is Szegedi sincere and can a human being change that completely and abruptly? The compelling thing about Keep Quiet – particularly in this era of advocacy documentaries – is how co-directors Sam Blair and Joseph Martin never take sides in the controversy. Instead they keep the camera of Szegedi’s face and leave it to the audience to decide for itself. One particularly memorable scene is Szegedi’s visit to the Auschwitz concentration camp, where either we see him struggling with the contradictions in his life or he is a very accomplished amateur actor. Avraham Aviv Alush in The Women’s Balcony. The Women’s Balcony (Feb. 12, 2 p.m., Carmike Parisian CityPlace) – An otherwise happy occasion, a bar mitzvah at a small, devout Jerusalem synagogue, is plunged into chaos when the balcony reserved for the congregation’s womenfolk comes crashing down one Sabbath morning. 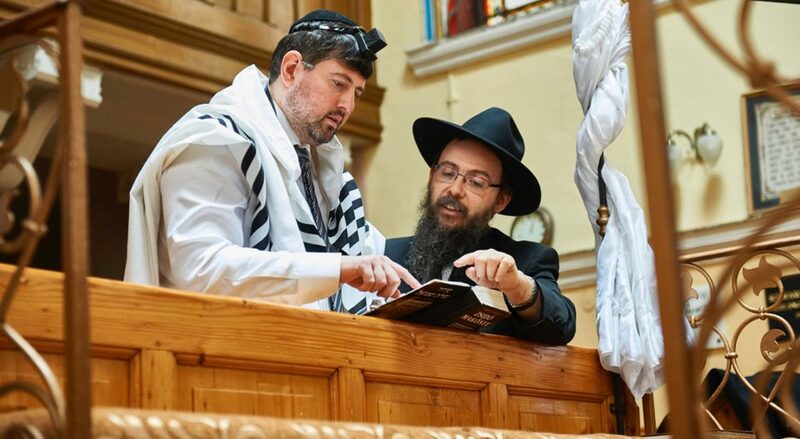 No one is killed, thank God, but the rabbi is sidelined, requiring a younger, more orthodox rabbi to be imported to oversee the rebuilding of the balcony. But Rabbi David (Avraham Aviv Alush) is more interested in the event as a teaching moment, interpreting it as a spiritual warning about female immodesty. The women accept the rabbi’s admonishments, until he withholds the funds to build a new balcony, causing a full-throttle rebellion. 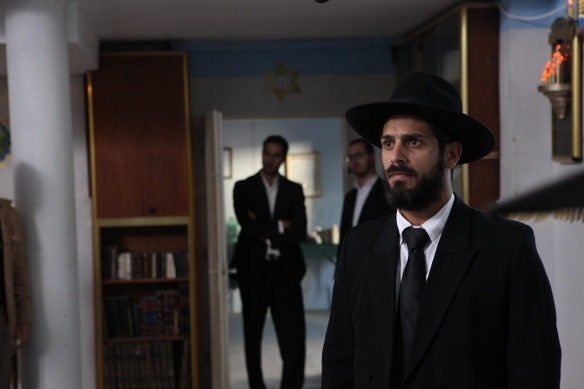 Squint at this wry comedy by director Emil Ben Shimon – a very confident feature debut – and you can see echoes of Aristophanes’ gender politics satire, Lysistrata. Though the situation is extreme, the reactions of the congregation are so varied, you are bound to identify with one of them. Ultimately, matters are resolved happily, which makes this a satisfying finale to this year’s festival.